Home Businessuite News24 Jamaican Government Looking To Expand Agro-Processing For Local Consumption And Export, AMC Complex On Spanish Town Road Targeted To Become Modern Facility For Processing Fresh Fruits And Vegetables. Jamaican Government Looking To Expand Agro-Processing For Local Consumption And Export, AMC Complex On Spanish Town Road Targeted To Become Modern Facility For Processing Fresh Fruits And Vegetables. 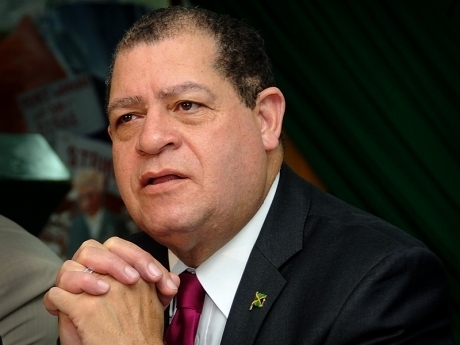 Minister of Industry, Commerce, Agriculture and Fisheries, Audley Shaw, says the Government is looking to expand agro-processing for local consumption and export. He noted that four distinct markets are being targeted – CARICOM, the Jamaican Diaspora, hotels, and the school feeding programme. He said that the AMC complex on Spanish Town Road is being targeted to become a modern facility for the processing of fresh fruits and vegetables. Minister Shaw, in emphasising the valued-added to the agricultural sector from agro-processing, noted for example, that when pumpkin is processed into purée and sweet potato is parboiled they can have up to a two-year shelf life, and that is the direction of where agriculture is heading. What you can’t sell fresh; you can process, he noted. St. Lucia’s Minister of Agriculture, Fisheries, Physical Planning, Natural Resources and Co-operatives, Ezechiel Junior Joseph, in his remarks, said Jamaica’s agriculture programme is moving in the right direction. Mr. Joseph, who is a CASE alumnus, pointed to the need for the sharing of experiences, ideas and policies, aimed at strengthening the regional agricultural industry. He noted that the hospitality sector provides an excellent opportunity to establish linkages for the growth of the sector. When tourism grows, it is an opportunity for our farmers, Mr. Joseph said. Meanwhile, President of CASE, Dr. Derrick Deslandes, said the institution is ensuring that its programmes are in keeping with the needs of the country’s agricultural sector.